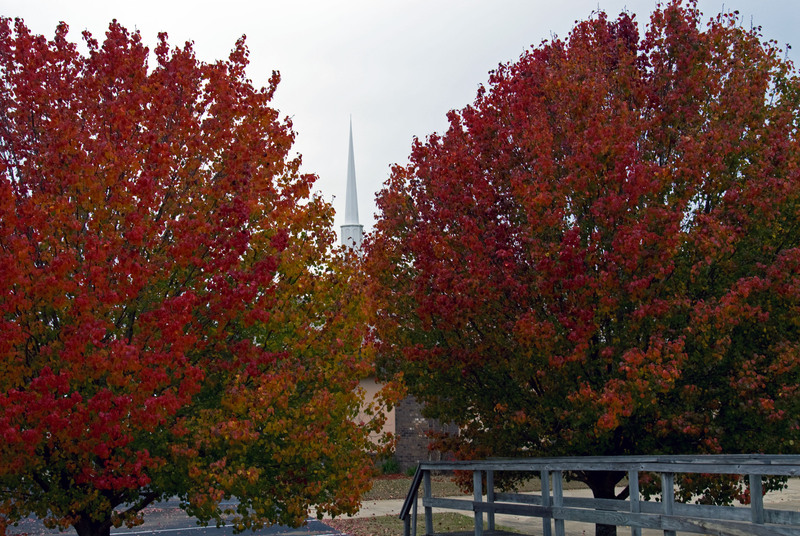 For many of you, the fall colors have already come and gone. Where I live, they finally peaked about a week or two ago. 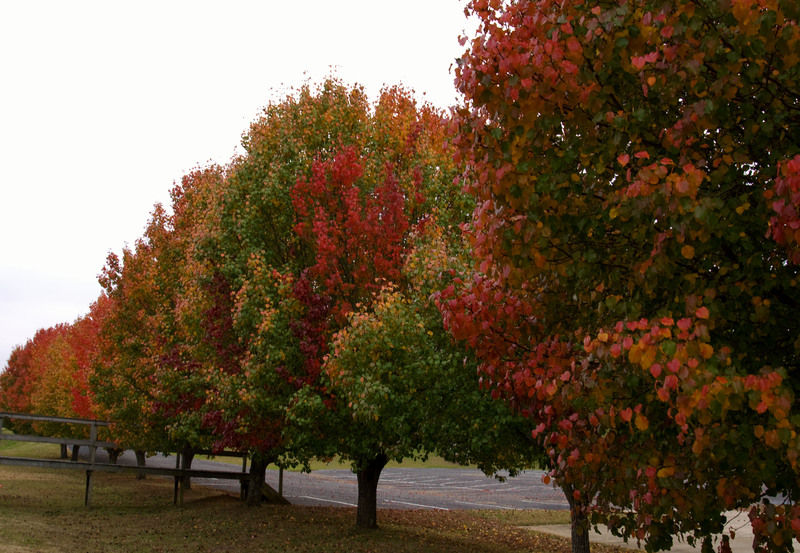 My focus with this set of fall photos was capturing the beauty of Bradford Pear trees. Their showy variety of colors in the fall is hard to beat. Many stay green underneath, and then turn a combination of reds, yellows and oranges. As seen above, they are like a fall foliage display all in one package. 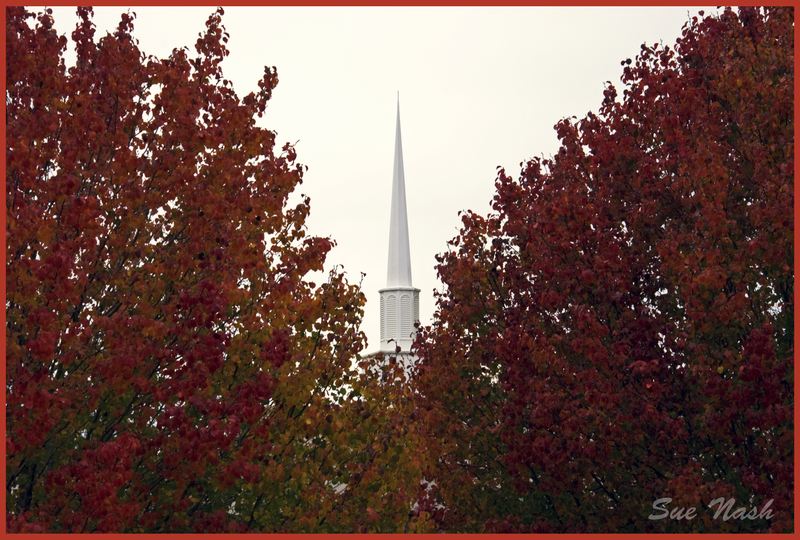 These shots are all of a single row of the trees lining the parking lot of a local church. This angle shows the wall of color lining the lot. A display of glorious beauty. On my next post, I will showcase some other Mississippi Fall photos. I hope that you enjoy sharing in our fall, ya’ll! 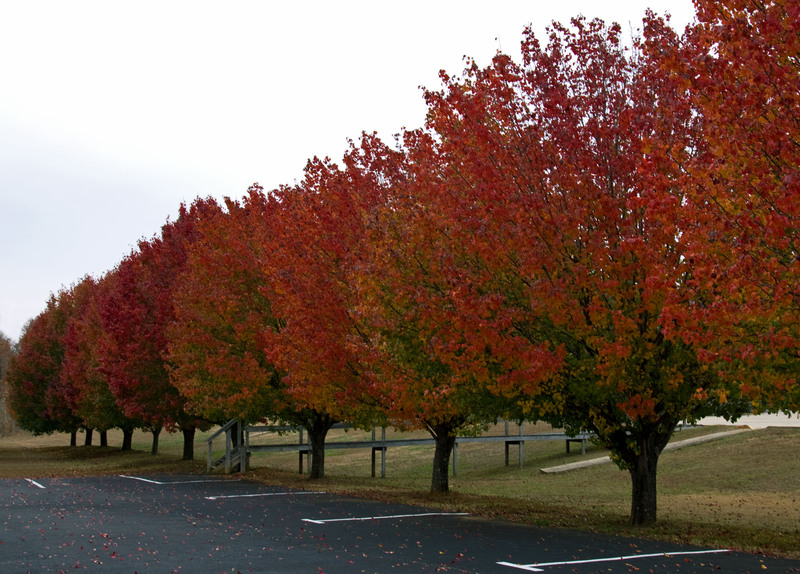 This entry was posted in Random Thoughts and tagged bradford pears, Colors, fall, foilage, inspirational, Mississippi, photography, photos on November 25, 2013 by heavenlyraindrops. Beautiful fall photos! Being from Kansas and now living in Texas, fall just isn’t the same here in Texas. I miss the change of color on all the leaves. Thanks for the beautiful reminder! You know the song, “…it never rains in Southern California…” You have no idea, how much “truth” there is to this statement as it IS basically…65 to 75 degrees…ALL YEAR ‘ROUND! How VERY beautiful, Sue!!!!! I LOVE the beautiful tree leaves this year. Prettier than ever!!! Thanks for sharing! Those are absolutely BEAUTIFUL pictures! God sure knows how to “paint” a pretty picture! I appreciate the feedback. Thanks for stopping by.